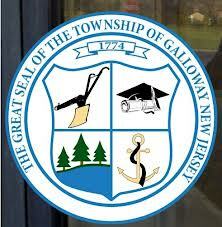 Galloway Township posted an Employment Ad on the NJ League of Municipalities Website for an Accountant / Assistant to the Chief Financial Officer. The Township is seeking to fill the position As Soon As Possible (ASAP) according to the advertisement, however applications are accepted until June 20, 2013. The Advertisement does not list if the position is Full-Time or Part-Time. Salary is commensurate with experience and exposure to Government Accounting Principles. Resumes are to be emailed to Marilyn Dolcy who is the Township's CFO.